LAS VEGAS, June 6, 2018 /PRNewswire/ -- Optoma, a world-leading manufacturer of video and audio products, at InfoComm 2018 today unveiled four new laser projectors designed to bring flexibility and stunning performance for higher education, houses of worship, rental and staging and corporate environments. The Optoma ZW500T, ZH500T, ZU500T and ZH500TST deliver incredibly sharp and stunning images with 20,000 hours of virtually maintenance-free operation, ensuring maximum reliability and dependability in a variety of settings. "Our new line of laser projectors offers a range of robust features to accommodate the various demands of multiple professional settings, including the education, small business, house of worship and corporate markets," said Brian Soto, head of product management, Optoma Technology. "By continuing to produce top-of-the-line, reliable projectors, we reaffirm our ongoing commitment to providing the most effective, innovative solutions to the ProAV market." 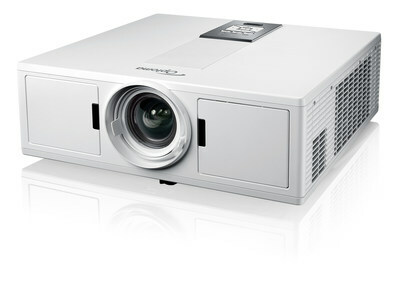 Optoma is also presenting its first 10,000 lumen 4K UHD ProScene projector alongside the Calibre PS300T signal processor. The Calibre product family expands Optoma's array of innovative products for the professional market and provides lightning fast video source switching, scaling and picture-in-picture.